Well, I hit the ground running when I got back from OnStage. I had classes Tuesday, Wednesday and Thursday to prepare for and I still didn't have Easter cards for my grandkids made and time was very short to get those in the mail!! I didn't have a lot of time to put into them but I wanted them to be fun. I also hadn't invested in any Easter stamp sets this year. I had planned to, but then time got away from me and it was really too late to bother. What to do?? I had a bit of a brainwave, though, when I thought of an Easter egg hunt. 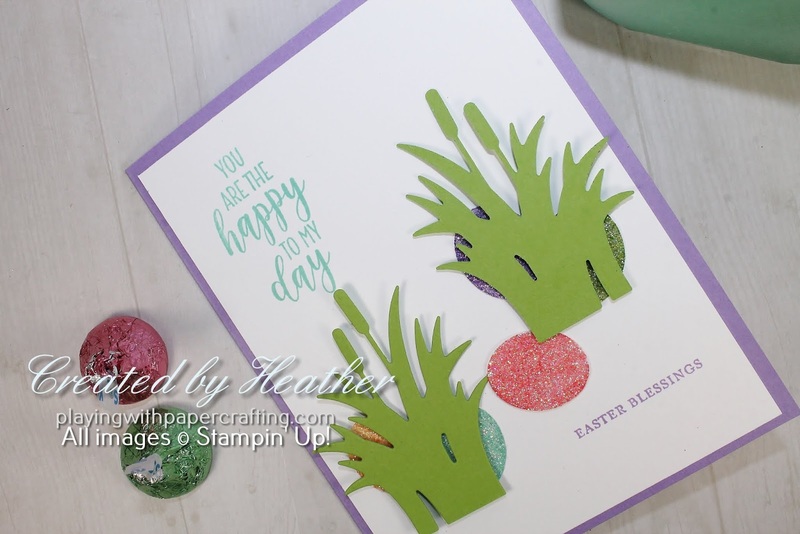 I remembered that the Catch of the Day dies had a clump of grasses that I could die cut and also that Sparkle Glimmer Paper could be coloured different colours using Stampin' Blends. I had kept the retired small oval punch for just such an occasion and I punched out 5 Easter eggs, which are just the right size for the grass. Then I coloured them with the dark Highland Heather, Granny Apple Green, Flirty Flamingo, Pool Party and Mango Melody Stampin' Blends Markers. 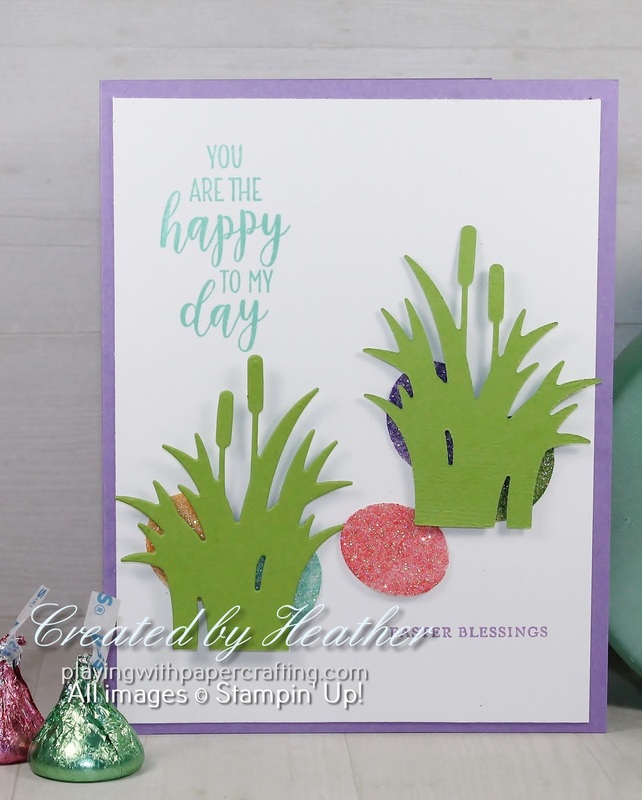 The sentiments, from Country Home stamp set and Itty Bitty Greetings, are stamped in Highland Heather and Coastal Cabana. 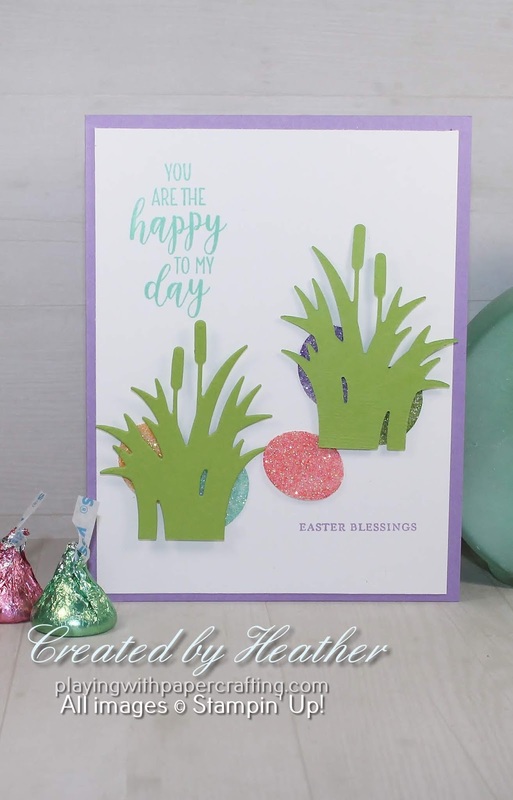 The coloured Sparkle Glimmer Paper Easter eggs are adhered with glue dots, then the grass clumps added over top using Mini Stampin' Dimensionals. Notice that I reversed one clump of grass. I actually made six of these cards, each one having a different coloured card base: Highland Heather, Flirty Flamingo, Coastal Cabana, Daffodil Delight, Mango Melody, and Lemon Lime Twist. 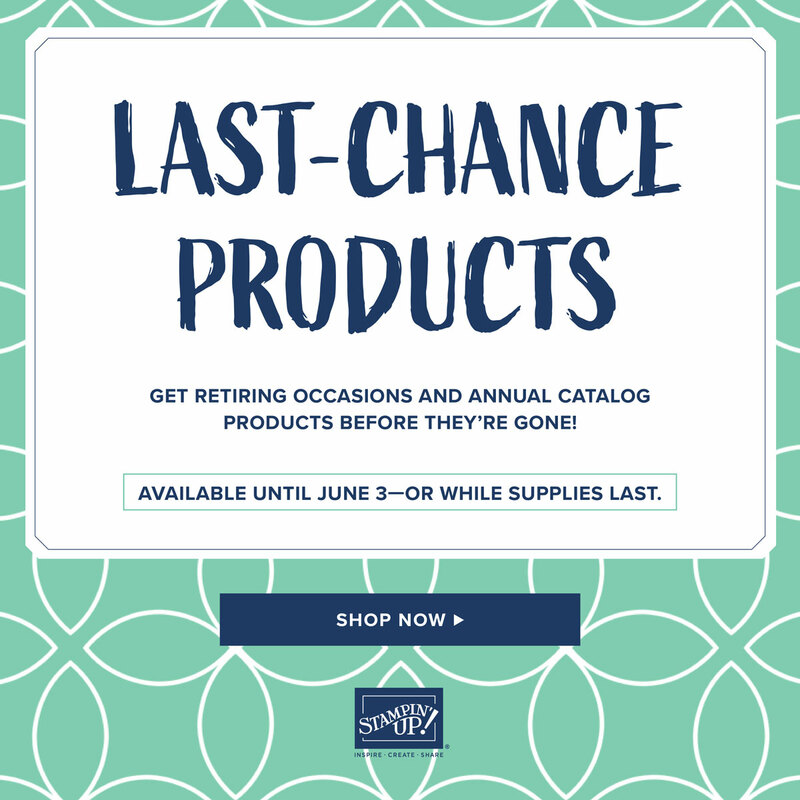 And yes, the Retiring List from both the 2018 - 2019 Annual Catalogue and the 2019 Occasions Catalogue are now out. All the clear mount and wood mount stamp sets that will be carrying over to the new Annual catalogue will be reformatted as Cling Stamps, so that it looks like they're retiring when they're actually just changing format (and therefore SKEW #). These stamp sets are indicated by an asterisk and shaded in gray. All bundles in both these catalogues will no longer be bundles in coming catalogues, so if you were planning on purchasing them better do it before you lose the 10% off. You will see the bundle on the retiring list, even if the stamp set and dies separately will be carrying over. Everything is available until June 3 or.... WHILE SUPPLIES LAST! So don't wait until the end of the period to order. You may find that you're out of luck permanently! 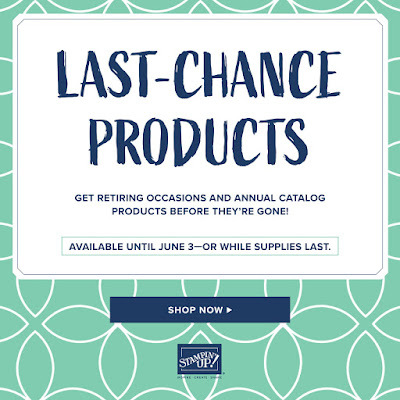 The Stampin' Trimmer and the Big Shot are retiring, to be replaced at some point with another product, but the replacement products were not yet ready to be marketed in time for the catalogue. The timeline is still very unclear, but they will eventually be coming! 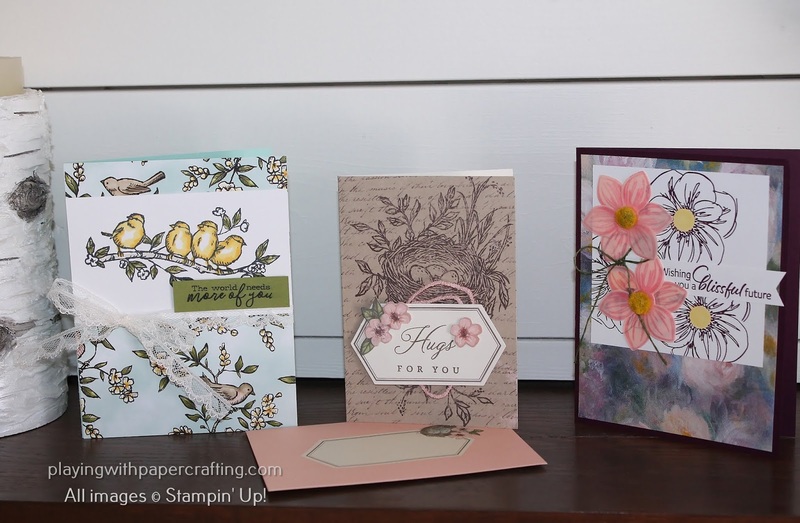 The kit will make a dozen cards in Shelli's unique style! To get in on this amazing kit, simply subscribe here by May 10. 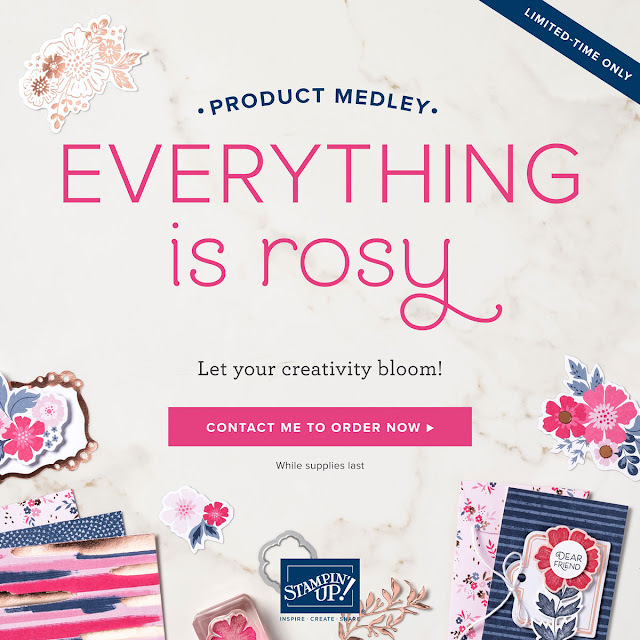 This beautiful new suite will be available to order for a limited time, only from May 1 - May 31.